Black flavored tea with citrus notes. Category: Tea. Tags: black tea, tea, чай, черный чай. 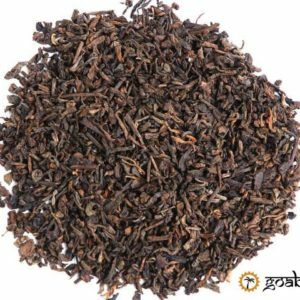 Black tea, which reminisce one of the most famous varieties of amorphized tea “Earl Gray.” There are several legends about the origin of this variety: in one of them appears China, in the other – Indian roots. It’s black tea flavored with bergamot oil, and it was named after the Earl of Charles Gray. Because in China, bergamot almost does not grow, and green tea is there in greater respect than the black, then the beautiful version that the secret of tea was discovered by Gray is an Indian raja, whose son the British rescued from the attack of the tiger. Drink with an exotic aroma very much fell in love with the British, and now it is popular all over the world. It is believed that the essential oil of bergamot helps to increase immunity, improves the concentration of memory, stimulates the work of the brain. Drinking this kind of drink has a beneficial effect on the heart and the state of the vessels. 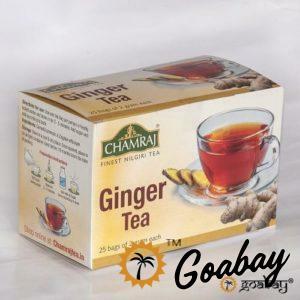 Excellent ginger tea with a unique taste in convenient bags for brewing. The most refined and expensive grade of Indian tea. Black Indian tea from state of Assam with expressive and spicy taste- set for a true gourmet. Natural product of natural ingredients to prevent pigmentation of the skin with extracts of cinnamon and green tea.